This is the best thing I have tasted in a while. 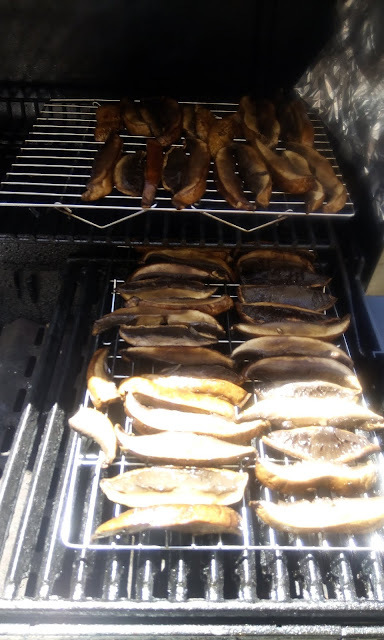 Mushrooms are bursting with umami, and together with the saltiness of the brine and the smokiness of the smoking the overall effect is very bacony. We have been enjoying them on BLTs (which will be even more awesome when our own tomatoes ripen), veggie burgers, and in scrambled tofu. 1. Wash the mushrooms and thickly slice (about 1/2″). 2. Place sliced mushrooms in a large freezer bag, pour in brine, and seal. Lay bag flat in an appropriately sized casserole dish (this way of the bag leaks you won’t have a disaster on your hands). 3. Refrigerate for at least 24 hours, turning the bag over regularly to ensure all the pieces get evenly marinated. ON SMOKING DAY: you can smoke these in a smoker, if you have one, per its instructions. Or, you can turn your BBQ into a smoker per these instructions. 1. 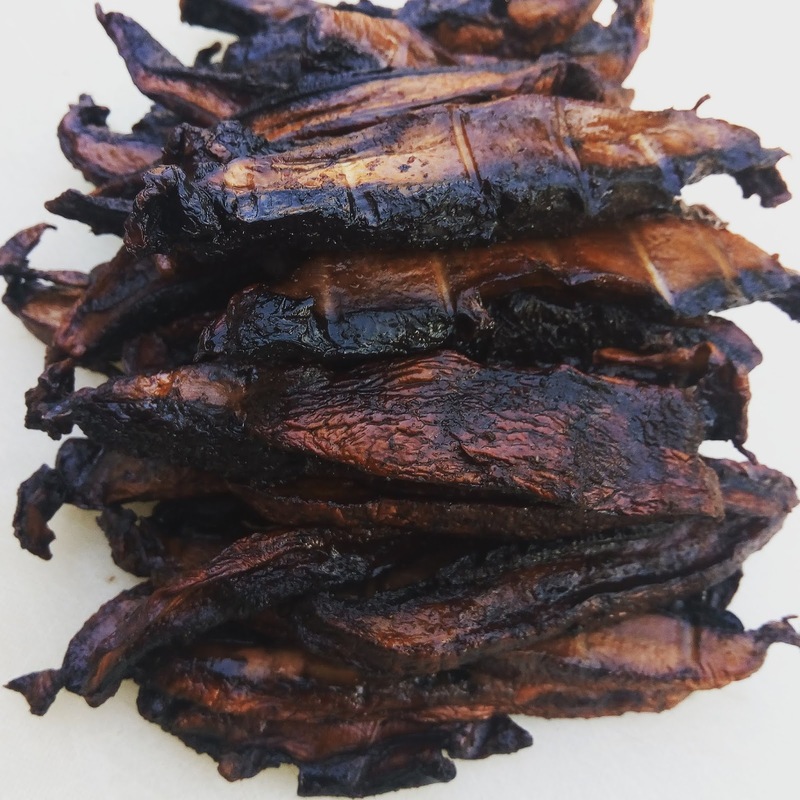 Soak the applewood chips (or smoking chips of your choice) in water for 30 mins. 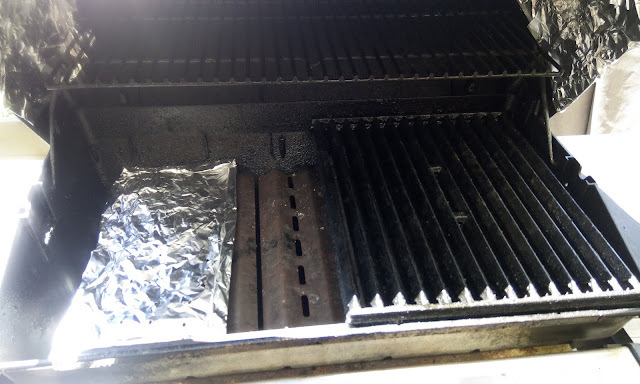 If you like, use foil to cover the holes in your BBQ lid where the rotisserie is supposed to go so that too much smoke does not escape. 2. 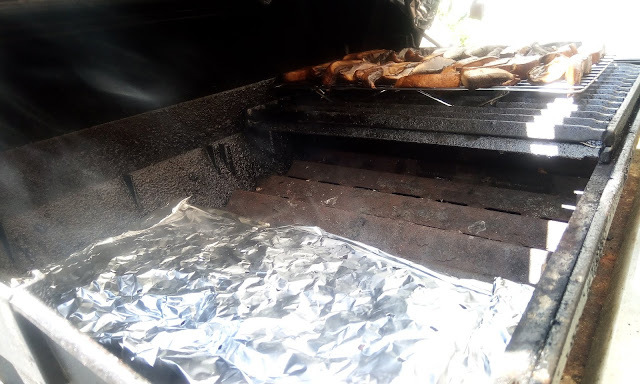 Use a smoke box, or make a smoking packet out of aluminum foil–wrap the chips in foil and poke holes in it to allow the smoke to escape. Don’t make the packet too big–you want some depth to your chips so they can smoulder and smoke away without burning up too fast. 3. Remove the grill from one side of the BBQ and place the packet on the heat plates over the burner. Turn the burner on high. 4. While the packet is heating, place the mushroom slices on the opposite grill and bun warming rack. I like to place mine on an old cooling rack and then place that on top of the grill. 5. Once the packet begins to smoke, reduce the heat and close the lid. 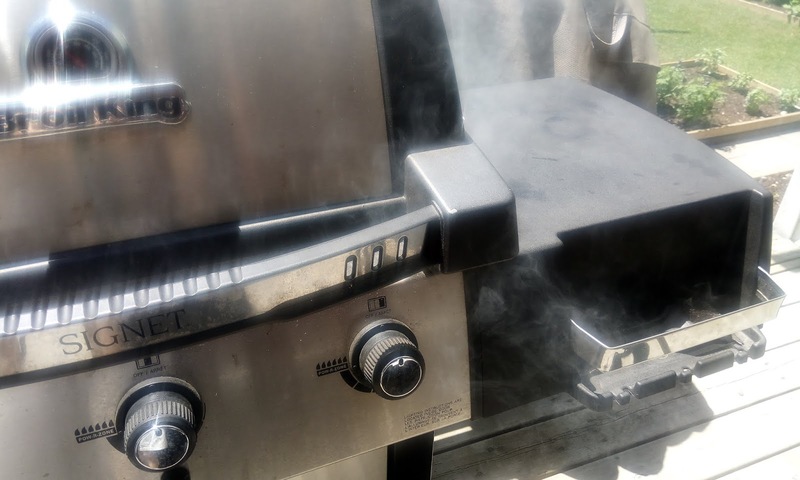 You want to keep the temperature between 250 and 300 for about 45 mins, but you also want the chips to keep smoking. Basically this means a higher heat at the beginning and then lower heat towards the end as the chips burn. If the chips stop smoking too early, just raise the heat to get them going again and then lower it. 6. The bacon will be done in about 45 mins. The outside should be leathery but the pieces should not be dried out. Remove smaller pieces first if necessary. The bacon can be stored in the fridge and fried up (if you want) when needed. I like the thicker slices because they don’t dry out on the grill and can be sliced thinner later if necessary.